Going Behind-the-Scenes at Edible Photo Shoot. My kids, Finnegan and Delphine, recently did a fun photo shoot at the house for an article I wrote in Edible magazine called A Cup of White Space (read the Digital Article or the complete version of Edible Spring 2014 Issue). Finn said he hopes parents share the story with their kids so they too can fall in love with cooking like he has! For the photo shoot, we made my mother's signature dish: shrimp curry vol-au-vents. For dessert, a simple farm style berry galette. I got this delicious pie recipe from my stylish friend Eve who makes it when friends come over for dinner. Recipes will be posted next week on the blog. 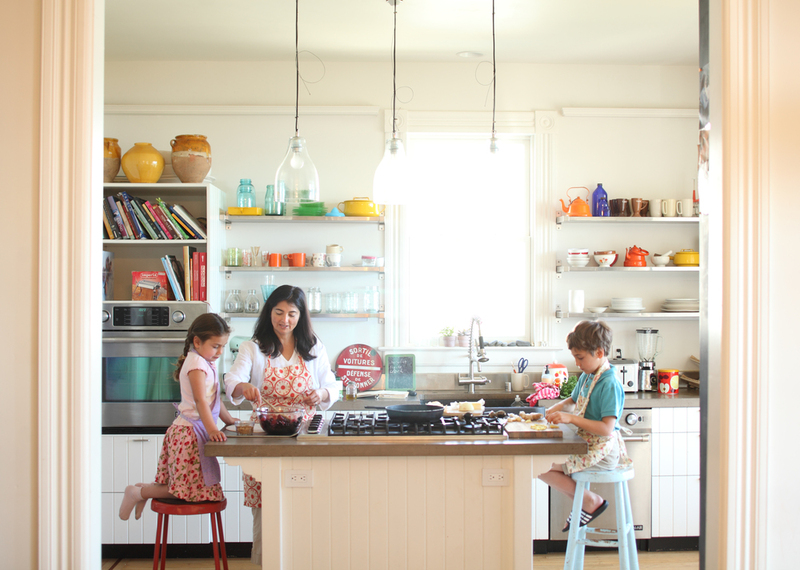 Meanwhile, enjoy these pictures from the amazing photographer Clay McLachlan to get you inspired to cook with your kids. Bon Appétit!